Crichton Russ Boatwright was ordained a minister in 1942. She learned from Richard Lynch while he was minister in New York City. 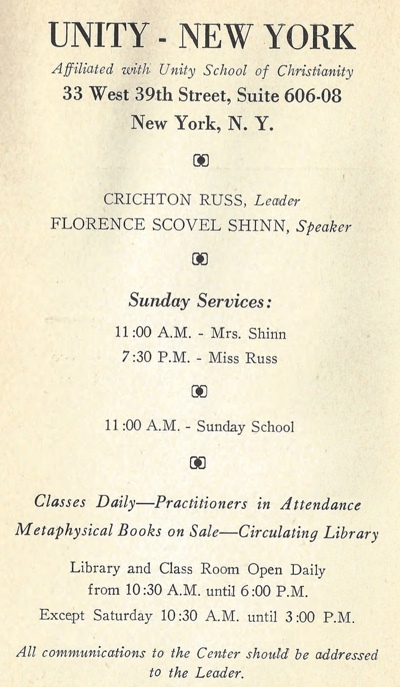 She was serving as the minister there by 1938 (source is the back page of Florence Scovel Shinn's book where she is listed as the leader) at least until 1949 (source is the Unity Field Dept Survey). 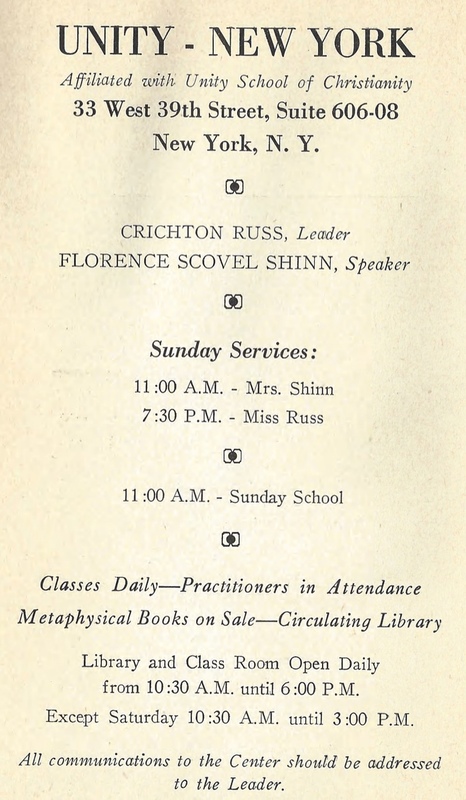 We have only a few sources of information about Crichton Russ Boatwright: the advertisement page in the 1938 edition of Florence Scovel Shinn's book, the 1942 Ordination Photo, information we can glean from her 1947 book The Master Key To Every Kingdom: Grace, and her 1948 Field Department Survey. There are a few personal details available from Ancestry.com, such as a few immigration records and the 1940 census which indicate her weight and date and place of birth (96 pounds, b. 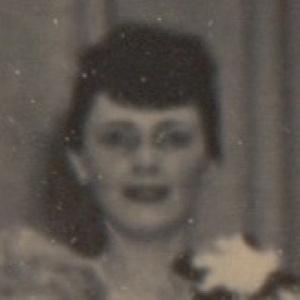 28 Dec 1902, Woodstock Canada), her nationality (Canadian), her husband's name (Thornton Boatwright b. Georgia ca 1910) and her marital status in 1948 (single, Occupation: Minister).